Working on modern mountain bikes may seem intimidating, but it is probably easier than you imagine and has many benefits! 1. You will save money! 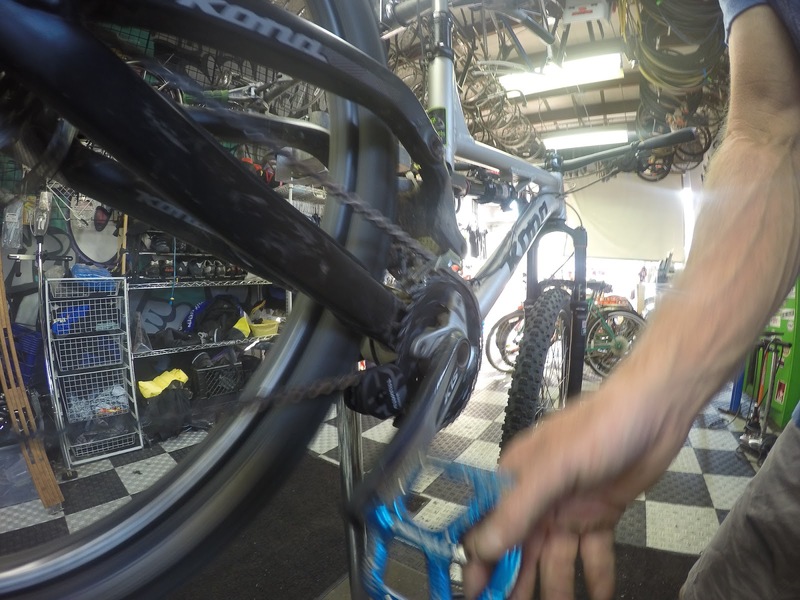 Bike shops charge for labor and parts (sometimes with a markup) and it isn't cheap. 2. You'll become self sufficient. In a world where we outsource so much, having intimate knowledge of your bike and it's quirks can save you if you break down on the trail and can fix or work around a mechanical problem. 3. It's easier than you think. Even if you aren't mechanically inclined, bikes are relatively simple machines and numerous resources exist online to help you learn. Start with small projects, like learning to change your disc brake pads or fix a broken chain. Many bike shops put on classes on basic bike maintenance. 4. It will save you time. In the spring, when you need it most, that bike shop's repair schedule fills fast and you may not get your bike back in time for your first ride in good weather. Just got some new tubeless-ready tires? You'll be able to get them on your wheels and ride on your own schedule. 5. You'll impress your friends and earn beer: "Oh, your derailleur needs adjusting? No problem". I added a chain retention device last year. Ended up removing it but it was a great experience.